The Salmon Pueblo Ruins are the most comprehensively excavated Chacoan site, and now the artifacts and photos have been fully digitized on a vast digital archive, the Salmon Pueblo Archaeological Research Collection. Artifacts, specimens and samples from a 1,000-year-old Pueblo civilization can now be accessed from any digital device. 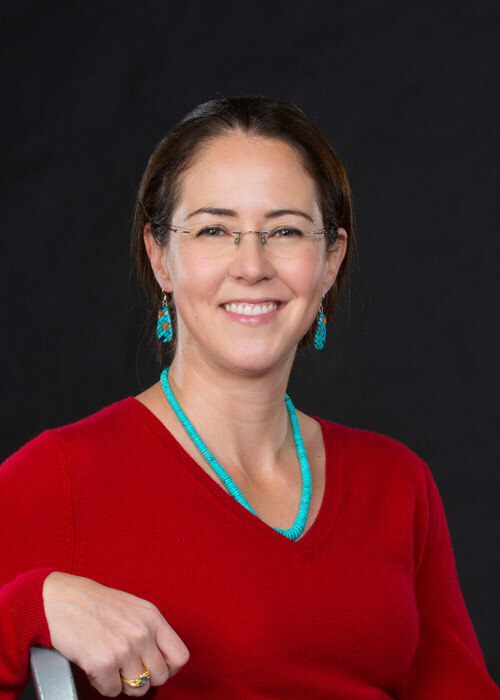 With the launch of the Salmon Pueblo Archaeological Research Collection May 9, a four-institution team led by University of Nebraska-Lincoln anthropologist Carrie Heitman has completed a three-year grant from the National Endowment for the Humanities. The project is designed as an online resource that allows users to search more than 140,500 records, including approximately 11,000 photographs, 29,000 documents and 24 data tables with information on particular artifact types, such as ceramics vessels, ornaments and bone tools. The records are from the comprehensive excavations of the Salmon Pueblo completed in the last 40 years. While the website will allow researchers to explore further this historically and culturally significant community, it is also accessible to anyone who has interest in learning about Salmon Pueblo and the larger Pueblo civilization. “There are a lot of stakeholders, especially Native, descendent communities who are interested in their ancestral places,” Heitman said. VIDEO: Carrie Heitman explains the importance of the Salmon Pueblo Archaeological Research Collection. Salmon Pueblo, near modern-day Bloomfield, New Mexico, was home to one of the largest ancestral communities outside Chaco Canyon. More than 200 satellite Pueblo communities existed outside of Chaco Canyon, but Salmon Pueblo is the only Chacoan site to have been comprehensively excavated in the last 40 years. Salmon Pueblo is known for its three-story, 300-room “great house.” This great house is an example of the type of architecture that was used to build these communities and the vast infrastructure that connected them. The collection is housed by the university’s Center for Digital Research in the Humanities and is a collaboration with Archaeology Southwest, the Institute for Advanced Technology in the Humanities at the University of Virginia and the Salmon Ruins Museum.